The Fearless Socialpreneur - Douk & Co. In his captivating book, The Fearless Socialpreneur, Dr. Rob Douk weaves business advice and invaluable wisdom from his life and career as a successful serial entrepreneur into a vivid account of his personal experiences. Dr. Douk is a socialpreneur with a passion for building companies that not only thrive, but full-heartedly give back, leaving a positive and measurable mark on the world. Do You Live The 10 Principles To A Purposeful Life? Based upon The 5 Foundations of a Balanced Life and The 5 Principles of Business Success. Dr. Douk likes to call them The 5 P’s and The 5 F’s. Together, they provide a roadmap, or framework, to guide users as they move forward towards the achievement of their vision. In The Fearless Socialpreneur, Rob delivers a pragmatic and powerful treatise on how to design and deliver a sustainable business model that integrates sound management principles and social consciousness underpinned by strong personal beliefs and values. Filled with spiritual insight and years of personal experience, Dr. Douk explores how to live a balanced life and the methods to achieve a successful business. More than a simple how-to guide, The Fearless Socialpreneur examines what it means to be a socially conscious businessperson. Not one to stand on his success or accolades, Rob Douk has taken the time to issue a challenge to all of us who imagine a better world. Douk is destined to become the face of a movement of individuals who define success by being able to do well by doing good. With great craft, Douk weaves his own life story into this entrepreneur’s guide and provides insight into how his family’s journey around the globe molded his life and businesses philosophies. It is the pursuit of not only the American dream of providing a better life for himself and his family, but something far more significant: a better life for everyone in the world. 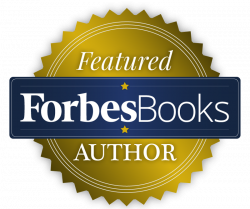 The Fearless Socialpreneur is a thought-provoking and captivating must-read for any executive looking to unlock the answers of what it takes to thrive in both their professional and personal life. Chief Clinical Officer of Behavioral Health Works, Inc.
Dr. Douk is the next business leader and social influencer of our generation. Read this book and you too will have all the tools to make your mark in this world. As an accomplished entrepreneur, Rob offers a practical and clearly defined systematic approach to support and enable entrepreneurs to develop and expand their businesses. I’m confident that Rob will inspire many through his book, The Fearless Socialpreneur. The Fearless Socialpreneur is not just a business book on social entrepreneurship, but also a thoughtful guide on how to create a well-balanced life based on faith, positivity, purpose, entrepreneurship, and service to others. 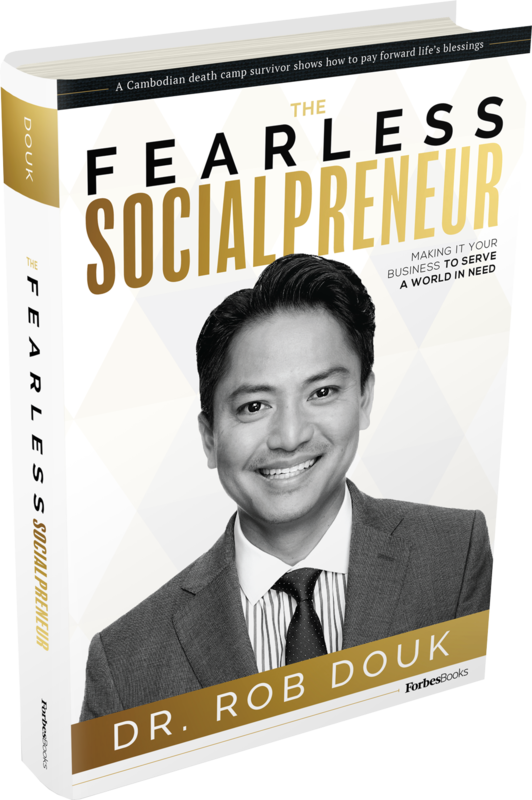 Dr. Douk’s ability to engage people through authenticity and passion are a rare commodity and evident in each chapter of The Fearless Socialpreneur. The Fearless Socialpreneur is essential for all entrepreneurs who want to be guided by the right values towards prolonged success and happiness. Have you ever needed a comprehensive roadmap to mastering your business and personal life? Then follow Dr. Douk’s prescribed 10 Principles Curriculum. You will learn and implement it’s strategies, real-world examples and integrate it to become second nature to overcome your own challenges. And the best part – this powerful tool will be yours with a purchase of 12 or more copies of the book! Dr. Douk is oﬀering the 10 Principles Journal with inspirational quotes as well as the prescribed 10 Principles Curriculum. You will learn and implement it’s strategies, real-world examples and integrate it to become second nature to overcome your own challenges. Author donating 100% of proceeds.